“Money is like manure. It’s not worth a thing unless it’s spread about, encouraging young things to grow.” This famous line is the concluding thought of one of the main characters in the latest production by the Eau Claire Children’s Theatre. In the past, the group has performed its own interpretations of numerous classic shows such as Alice in Wonderland, Oliver!, Seven Brides for Seven Brothers, and Hairspray. Their upcoming production, the celebrated musical Hello, Dolly! is no exception. Hello, Dolly! is based on Thornton Wilder’s 1938 play The Merchant of Yonkers (retitled The Matchmaker in 1955). The musical version – with music and lyrics by Jerry Herman and a book by Michael Stewart – was produced on Broadway in 1964, eventually earning 10 Tony Awards, including Best Musical. It has since returned to Broadway several times and has been performed on countless stages. Essentially, its success allowed it to become a staple in the theater world and a story that would continue to be referenced and reinterpreted. ECCT director Wayne Marek says this musical is a favorite that he was first introduced to in high school. Although he has since seen it performed and directed in other places, it has never before been performed by the Eau Claire Children’s Theatre. The story takes place at the turn of the 20th century and focuses on Dolly Gallagher Levi, played by Robin Michelsen, a meddling matchmaker who seeks out wives for men in the market. Her latest client is Horace Vandergelder (Jason Lynn), a cantankerous “half-a-millionaire,” as Dolly refers to him. However, although it is her task to find Horace a wife, it becomes clear early in the story that Dolly herself intends to marry Horace. When Dolly takes a trip to Yonkers, N.Y., to visit Horace, others become involved. Horace’s assistants, Cornelius Hackl (Kevin Grady) and Barnaby Tucker (Brian Naumann) and contacts of Dolly’s, Irene Molloy (Vanessa Rossano) and Minnie Fay (Jocelyn Bold), all enter the plot seeking different outcomes for themselves. Other important characters also come into play, including Ernestina (Sara Shellenberger), Ambrose Kemper (Jeremy Richter), and Ermengarde (Ali Abraham). Throughout the story there is sabotage, love, lust, and intertwined relationships that eventually lead to everybody finding some sort of satisfaction, even it is not` what they initially set out to achieve. 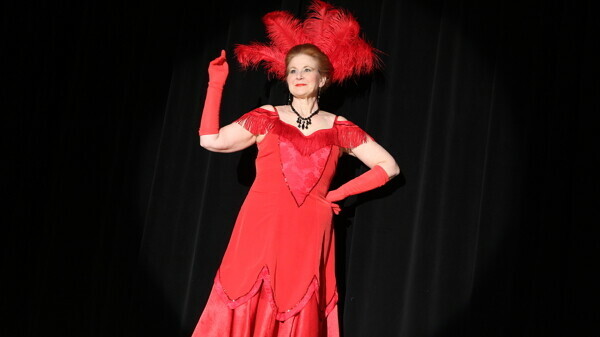 Eau Claire Children’s Theatre production of Hello, Dolly! • 7:30pm April 4, 5, and 6, and 1:30pm April 7 • The State Theatre, 316 Eau Claire St. • $8 for youth, $12 for students, $16 for seniors, and $20 for adults • (715) 839-8877 • www.ecct.org.